Interested in film and television since a child, I developed my career in Spain and Germany, where I lived and worked for seven years. I started working in TV-series and fiction but I turned later into factual content. 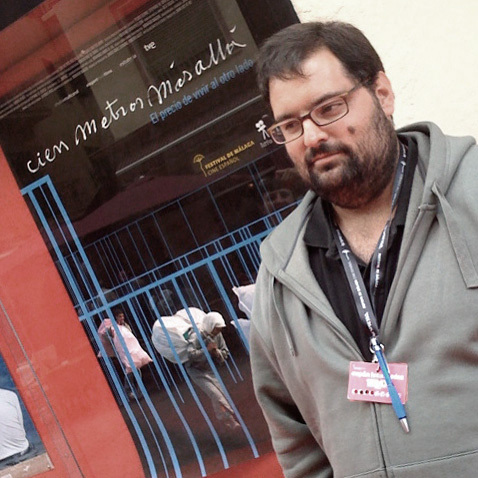 I returned to Spain to enter the production company elegant mob films as a partner. Master in Digital Economy and Creative Industries by the EOI (Escuela de Organización Industrial, Madrid) in 2011. One of my last films is: 'Copyright, or the right to copy' a documentary + web project about intellectual property, that was the very first TV production with a Creative Commons license in Spain. Since May, 15th, 2011 (start of the so called #SpanishRevolution) I have been extensively narrating what was happening in the streets by twitter and streaming to let participate all this people at their homes that couldn't come to the streets. Besides filmmaking, I also give training in Documentary Film Direction and Production, and Communication in the Internet Age.